Full course & free accommodation. The course requires fitness and you should be training aerobically now by running/cycling/swimming. 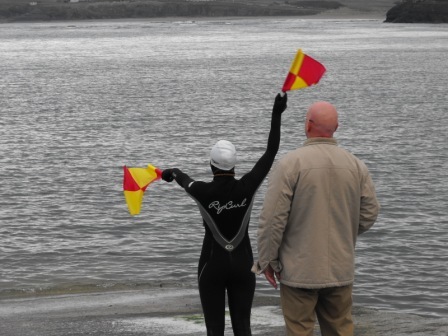 You should have the ability to Swim 400m in 8 minutes and comfortably be able to Run 1000m on entering the course. We’ve had a great season so far, brilliant schools and lots of adults and groups in the Rock Hostel at the weekends. 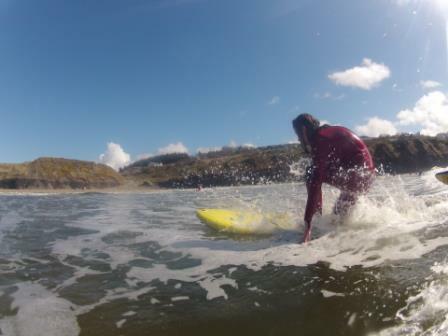 We’ve lots of stuff planned for the summer – as always we have our Surf and Adventure residential teen camps – but we have lots of things for the whole family to do not to mention our famous recession session deals for adults – now with free nightclub entry too! We are very pleased to offer another brilliant value teacher weekend this year. 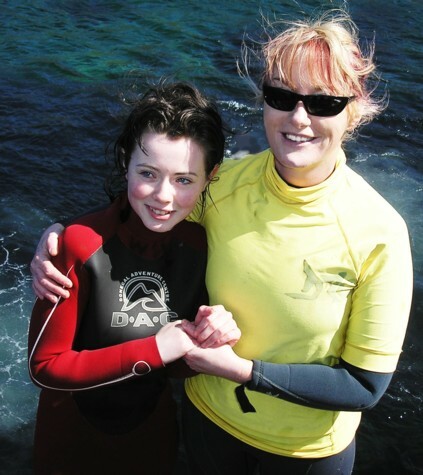 These weekends offer the chance for teachers and youth leaders to sample what we have to offer here with a full refund for teachers that bring a group in 2011 /2012. We offer 2 nights B&B in private rooms, lunch and dinner on Saturday and 2 fantastic expression session activities for you and your friends to experience on Saturday. 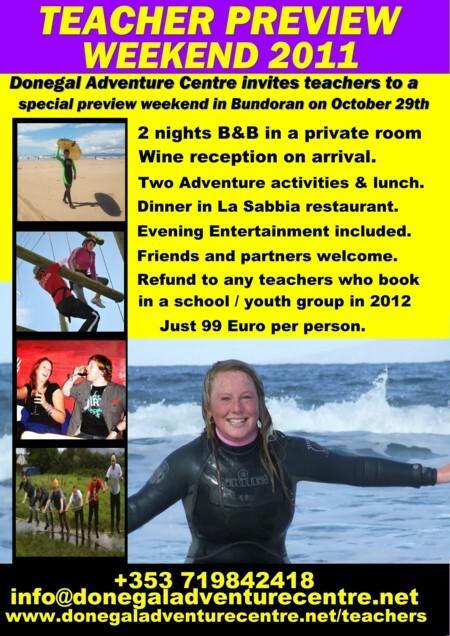 All this and evening entertainment in Bundoran, Ireland’s surf capital. Friends and partners are more than welcome to attend the weekend for the same price. 8 pm – 9 pm wine reception and registration. 2 – 5 High Ropes / Zip Line / Archery session. 7:pm Dinner La Sabbia restaurant. Any teacher who arranges a trip for a group of 8-30 will receive a refund for up to 2 spaces when the group pay their balance. For groups of 30 or more and extra teacher weekend space will be refunded for every extra 15 students. Does everyone have to be a teacher to take part? No – as long as one member of your party is a teacher / youth worker, you can bring as many friends as you like. As many as you want as long as you book in advance. 2 places will be refunded for every group up to 30 and and extra place for every 15 after that whether they were teachers or not. People travelling on their own are very welcome too. Are there children / students there that weekend. No, this is an adults only weekend. What is on at night-time? 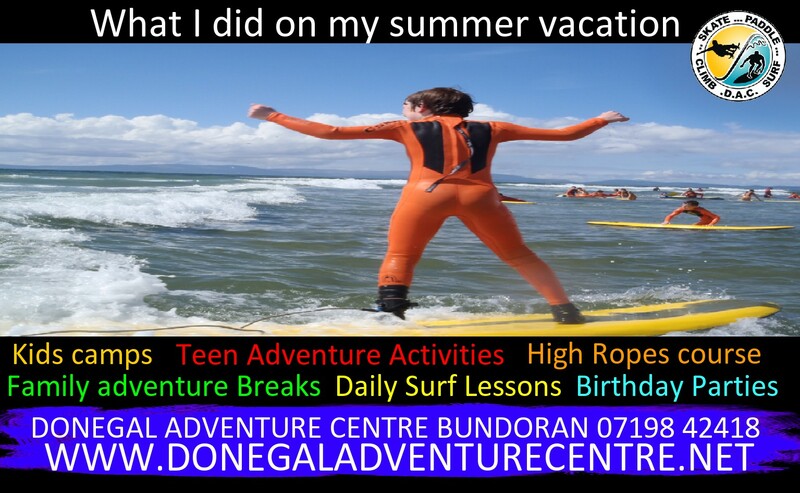 Bundoran is a lively and fun holiday town. There are many pubs and clubs as well as restaurants, cinema, bowling etc. We will we putting on certain evening events such as the annual fancy dress party in the Chasin’ Bull on Saturday that we would love you to attend but equally you are welcome to do your own thing if you prefer.